Lebanon is better known for struggle and conflict than quality wine, yet this small country, part of the Arabian Peninsula, on the western shores of the Mediterranean has one of the world’s richest winemaking histories, dating back to 7000 BC. Lebanese wine tells a story of perseverance and adaptability; through the rise and fall of empires, viticulture has endured, and while the varietals in the country today may not be the same as they once were, the fertile soil remains. It’s not been an easy ride. Winemaking in Lebanon has gone through cycles, almost disappearing and then re-emerging once more. Over the past two decades, the country has undergone a renaissance, the number of producers growing from just five in the 90s to almost fifty in 2018. However, the country’s relationship with wine was cultivated long before today’s vineyards saw their first seedlings planted. From around 3000 BC the region’s ancient inhabitants, the Phoenicians, began to spread their rich winemaking knowledge throughout the Mediterranean and beyond. From this point on, Levant became renowned for its wine, so much so that hieroglyphics depicting the country’s expert techniques have been found inside Egyptian tombs. Even the vino-loving Romans chose to build one of their grandest temples, to Bacchus the god of wine, in the Bekaa Valley of Lebanon, which remains the home of the majority of nation’s vineyards. Under Ottoman rule, wine culture all but disappeared, tolerated only for religious purposes. Production resurfaced during the 1800s with the emergence of French-influenced Château Ksara, Domain des Tourelles, and Château Musar, all of which continue to produce wine to this day. These vineyards were introduced by French Jesuits, who brought vines from Franco-Algeria. Wine was made to satisfy the tastes of the French people living in Lebanon, but locals soon adopted a taste for this European style of wine. The French influence heavily impacted Lebanon, the country’s producers flourishing once more. Strife would come once again though as the country fell into civil war between 1975 and 1993, with only five producers surviving the conflict. The resilience of these winemakers was a testament to their passion and ingenuity. They had the foresight to focus on exporting wines as their lifeline. Serge Hochar, of the family-owned Château Musar, was credited for shining a light on Lebanese wine internationally, and was famous for his persistence, producing throughout the war. In 2018, there are close to fifty wineries in Lebanon, the art of winemaking thriving yet again. This is due in part to technological advances, as well as the country acknowledging an opportunity for industry growth. 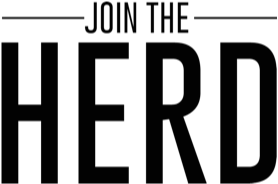 As a small country, and with the land available to cultivate vineyards even smaller, many of the winemakers are funnelling their business into niche wine markets instead of trying to compete on volume, focusing on creating quality wines, perhaps more intriguing than their better-known counterparts. 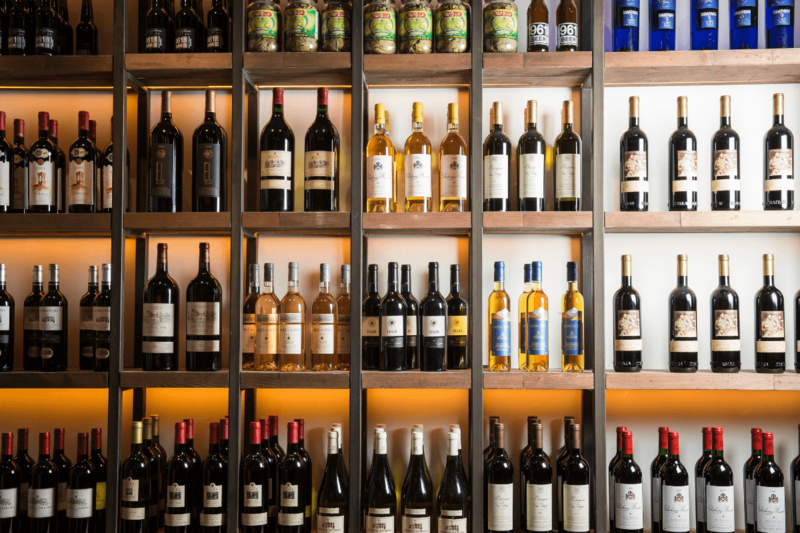 It’s hard to choose just one varietal to represent Lebanese wine, the grapes used for production are increasingly diverse, with some wineries experimenting with over 30 different types of grape. Due to the strong French influence, many winemakers have traditionally used Bordeaux and Rhone but Lebanon also boasts its own indigenous white grapes, Obaideh, often compared to Chardonnay, and Merwah likened to Sémillon. Lacking a regional red grape, winemakers embrace Cinsault, with Château Musar, in particular, earning international acclaim for its Cinsault blends. Lebanese wines are progressively varied, ranging from traditional sweet monastic wines to complex and structured vintages. Blends are very popular, with many wines being made to drink five to 20 years after production. Château Musar and Kefraya are especially known for this method and are two of the leading Lebanese wine producers. 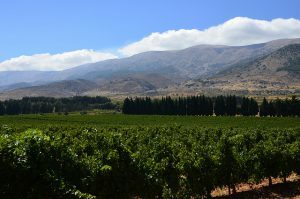 Winemakers in Lebanon can’t praise their terroir enough, its limestone and clay-rich soil combining with the temperate climate to produce unique conditions. Great wine production often goes hand in hand with tempered warmth, which is facilitated in Lebanese vineyards with altitude as the driving factor, the valley nestled 1000 meters above sea level. Lebanon is the only Middle Eastern country without a desert, and the Bekaa Valley enjoys warm, dry summers, the vineyards nourished by the mineral-rich meltwater flowing down from the mountains above. With Lebanon’s most recent vinicultural renaissance, new blends, techniques and varietals are increasingly recognised internationally. Despite the decades of war that have ravaged the country, veteran winemakers in Lebanon have persevered, and these same wineries now work alongside new boutique producers to define the country’s wine as it gains prominence in niche international markets. Just as the Phoenicians once spread word of Levant wine, modern Lebanese winemakers are once again taking their product to the world, embracing the land where so many generations struggled in order to maintain the tradition. With this renaissance, Lebanon is rewriting its history from that of a worn-torn country, to one with a thriving winemaking tradition worthy of worldwide recognition. If this story piqued your interest, impress your friends with the 10 fun wine words you should start using or read our guide and learn how to sabre a bottle of champagne.